Tacoma is a mid-sized urban port city in and the county seat of Pierce County, Washington, United States. Get out of town with these interesting Tacoma side-trips: Bellevue Botanical Garden (in Bellevue), Mount Rainier (in Mount Rainier National Park) and Future of Flight Aviation Center & Boeing Tour (in Mukilteo). There's much more to do: take your sightseeing to a higher altitude at Mount Ellinor, admire nature's wide array of creatures at Point Defiance Zoo & Aquarium, examine the collection at Washington State History Museum, and stroll through Snoqualmie Falls. For more things to do, other places to visit, photos, and more tourist information, read Tacoma route builder website . Seattle to Tacoma is an approximately 1-hour car ride. You can also take a bus; or take a train. In December, daytime highs in Tacoma are 44°F, while nighttime lows are 37°F. Finish your sightseeing early on the 5th (Wed) to allow enough time to travel to Ocean City. Ocean City is a city in Cape May County, New Jersey, United States. Kick off your visit on the 6th (Thu): try to win big at Borgata Casino, try your luck at Caesars Atlantic City Casino, and then take a stroll through Atlantic City Boardwalk. 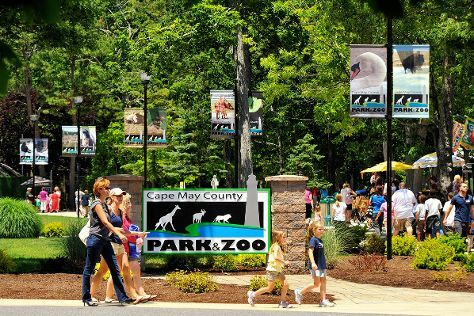 On the 7th (Fri), you'll have a packed day of sightseeing: stroll through Cape May County Park & Zoo, then enjoy the sand and surf at Cape May City Beaches, and then see the interesting displays at Cape May Fire Department Museum. For where to stay, reviews, photos, and tourist information, use the Ocean City trip maker tool . Traveling by combination of bus and flight from Tacoma to Ocean City takes 11 hours. Alternatively, you can do a combination of train, flight, and bus; or drive. The time zone changes from Pacific Standard Time (PST) to Eastern Standard Time (EST), which is usually a 3 hour difference. Traveling from Tacoma in December, expect nights in Ocean City to be a bit cooler, around 32°F, while days are somewhat warmer, around 50°F. Finish your sightseeing early on the 7th (Fri) to allow enough time to drive to Asbury Park. Asbury Park is a city in Monmouth County, New Jersey, United States, located on the Jersey Shore and part of the New York City Metropolitan Area. Kick off your visit on the 8th (Sat): examine the collection at Silverball Pinball Museum, make a trip to Asbury Park Boardwalk, and then take in the waterfront at Belmar Beach. To see other places to visit, photos, traveler tips, and other tourist information, go to the Asbury Park trip itinerary planning tool . Traveling by car from Ocean City to Asbury Park takes 1.5 hours. Alternatively, you can take a bus. In December, daytime highs in Asbury Park are 47°F, while nighttime lows are 33°F. Finish up your sightseeing early on the 8th (Sat) so you can travel back home.